Welcome to the 641st Edition of my series. I finally get to make an announcement that in April I am going to be in the play ON GOLDEN POND at the Commons Theater in Alexandria, Indiana. This marks my second show there and look forward to playing the role of Bill Ray and playing a dad on stage. I now have my Moviepass and recommend it to anyone who frequents the movie theater. It is about $10 a month to see a movie a day at the movie theaters so in other words to see a movie a day only costs the price of one movie. That is all I have going on for now so onto my selections. 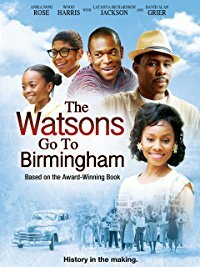 The Watsons Go to Birmingham (2013): This is part two of my two-part David Alan Grier series. Kenny Leon directed this tv movie based on the novel by Christopher Paul Curtis. This takes place in the '60s in Flint, Michigan and centers around a black family named the Watsons. Bryce Clyde Jenkins stars as Kenny whose point of view the movie is mostly from and is the 11 year old nerd of the family. His family takes a road trip to Birmingham, Alabama to see some family and have not been subjected to the segregation that happens there. Harrison Knight, Skai Jackson, Anika Noni Rose, Wood Harris, Shameik Moore, Josephine Lawrence, LaTanya Richardson Jackson, and many others co-star in this Hallmark movie. This is a good look at a family who has it pretty well during a really dark time only to witness first hand when they go to the main place of segregation in Birmingham. 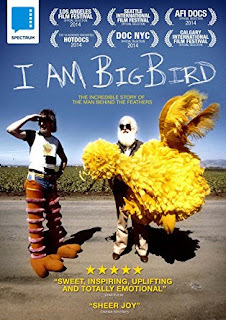 I am Big Bird: The Carroll Spinney Story (2014): I follow up with this documentary which takes a look at the actor under the Big Bird costume on SESEME STREET and is also the same person who voices Oscar the Grouch. This shows some of his early work when he played various characters on BOZO THE CLOWN and when he joined SESEME STREET in 1969 and has donned the outfit of Big Bird since then. This is a pretty inspirational documentary on a man very dedicated to his craft and to his family. There is not much more to say except this kept my attention all the way through getting to learn about the relatively unknown man behind two very iconic childhood favorites. 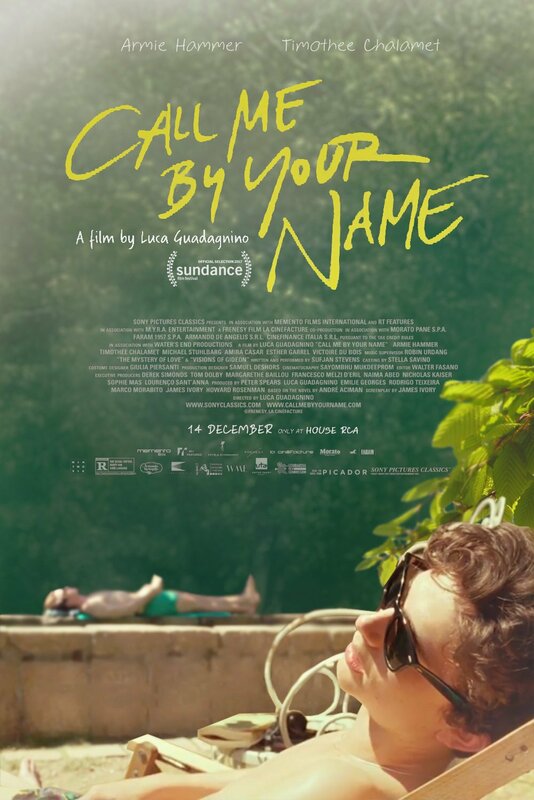 Call Me by Your Name (2017): I guess this movie holds the milestone of being my first movie to go see through Moviepass. Luca Guadagnino directed this film based on the novel by Andre Aciman. Timothee Chalamet stars as the 17 year old Elio in the 1983 summer in Italy. His father, played by Michael Stuhlberg, is a professor and Elio's life changes during the arrival of his father's grad assistant Oliver, played by Armie Hammer. At first Elio gives Oliver a hard time making him believe there is a dislike but it was really a more deeper connection. At such a young age, there is still a lot for Elio to learn as he slowly experiences a relationship with Oliver. Amira Casar and Esther Garrel also co-star in this film. I don't really have much in the way of words to describe this. Aciman and Hammer worked very well together in their performances. 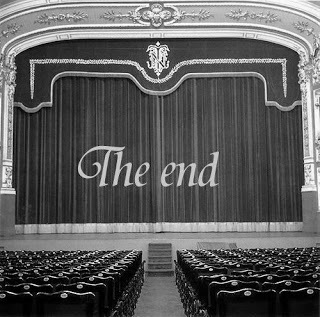 I also thought that it ended really well. 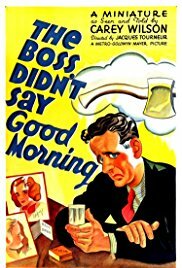 The Boss Didn't Say Good Morning (1937): This is my MGM short film for the week. This is a comedy short of an average worker whose boss did not speak to him making him very convinced he is fired. The issue with the boss was that he had a really bad case of indigestion. This is nothing great but still has some laughs and is watchable for the fans of classic shorts. 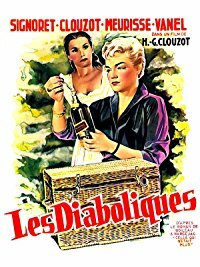 Les Diaboliques (1955): This is one of three foreign language films for the edition and this is the only one that was expected. Henri-Georges Clouzot directed this French crime drama based on the novel by Pierre Boileau which is billed as horror and I suppose this is a psychological thriller. This takes place at a boarding school run by the tyrannical Michel Delassalle, played by Paul Meurisse. The school is owned by his wife Christina, played by Vera Clouzot, and Michel has a relationship with teacher Nicole, played by Simone Signoret, but shares the same dislike of his wife making them team up to murder him. They conspire to commit the murder which seemingly goes as planned but without spoiling too much, nothing really goes as planned or we would not have the movie. This was some really good suspense and still holds up well today. This is available on Amazon Prime. The Umbrellas of Cherbourg (1964): This is extremely rare, could even be a first, to have to French films right in a row and go from a psychological thriller to a French musical. 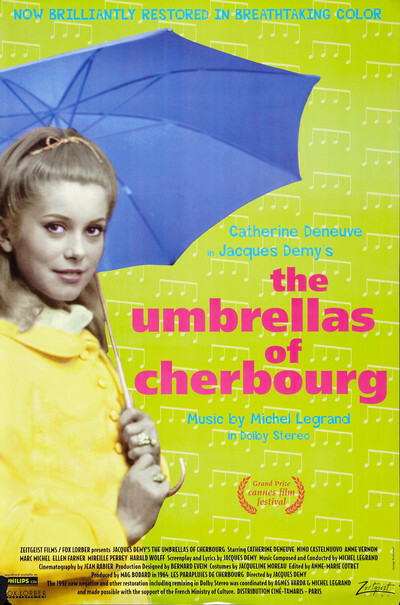 Jacques Denny wrote and directed this musical that shows the relationship of mechanic Guy, played by Nino Castelnuovo, and Genevieve, played by Catherine Deneuve. Guy is called to be in the war and both of them have difficult choices to make while apart. Anne Vernon, Marc Michel, Ellen Farner, Mireille Perrey, and many others co-star in this musical. I have always had a place in my heart for this movie since watching it for the first time years ago. The entire movie is done in song and has no spoken dialogue. Since I don't really know the French language, I've never really tried to sing along but the music is still very catchy along with a really good story to go along with it. Chely Wright: Wish Me Away (2011): This is my second documentary this week and this one going into the country music industry. This takes a look at country star Chely Wright who tried to play herself off as straight for many years in the protection of her career and decided she just could not live that way breaking the taboo of the country music industry on coming out to admit she is a gay. The documentary talks about her childhood growing up and then establishing her career into the point of becoming the first country star to come out of the closet. A lot of this shows the aftermath where she kind of had to make changes in her career to stay successful with the inevitable backlash from the conservative world of country music which was mostly the fans. Like my other feature, this is very inspirational to watch. This is available to watch on Amazon Prime. 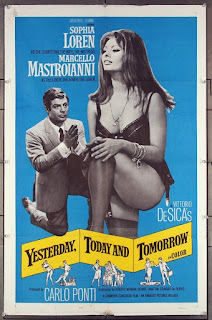 Yesterday, Today and Tomorrow (1963): I have featured two French films and my third foreign language film is this Italian film. Vittoria De Sica directs this film that is actually a trilogy of short stories. All three stories have Marcello Mastroianni and Sophia Loren playing different characters with all three stories taking a look at the social mores of Italy on women and the men they attract. This has a really good blend of comedy and drama with each story being really compelling to watch with the leads to a good job as their different characters. 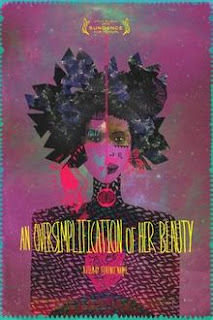 This is must watch for anyone foreign film buffs out there. 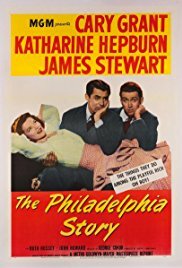 The Philadelphia Story (1940): I saw this classic romantic comedy at the movie theaters with TCM's special showing in which my Moviepass covered most of it but since it cost a little more than a conventional showing, I paid $1.90 which is still worth it. George Cukor directed this film based on the play by Philip Barry which stars Katherine Hepburn as Tracy Lord who is soon to get married to straight laced businessman and aspiring politician George Kittredge, played by John Howard, but not without her ex-husband C.K. Dexter Haven, played by Cary Grant, coming to stir things up as well as reporters Macauley Connor, played by James Stewart, and Elizabeth Imbrie, played by Ruth Hussey. Roland Young, John Halliday, Mary Nash, Virginia Weidler, Henry Daniell, and many others co-star in this romantic comedy that was probably pretty controversial for its time. This is a very fast paced movie and is very fun to watch. I always enjoy Weidler in this movie as Tracy's kid sister Dinah who I feel steals it all with her comic timing. This has always ranked as one of my favorite comedies from this era and was very worth it to see on a big screen. An Oversimplification of Her Beauty (2012): I end the week with this independent film which was written and directed by Terence Nance. Nance creates this hypothetical movie about being stood up by a girl and why he feels it happens but is much deeper than that description. Most of this movie is more of a visualization and uses a lot of animation along with the live action. It is very hard to describe this movie and I don't think it is meant to be that simple. I think a lot of this is Nance wanting other to interpret the movie that one some independent movie awards. Watching this, one can clearly see the passion Nance had for getting this very independent movie made. This is available to watch on the Hoopla Digital website. Well, that is it for this week. 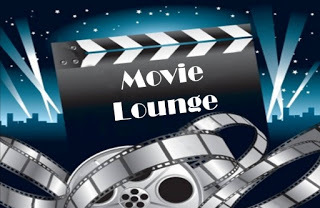 Tell me what you like and dislike and stay tuned for next week which so far includes Gary Oldman, Clark Gable, Martin Sheen, and many others.